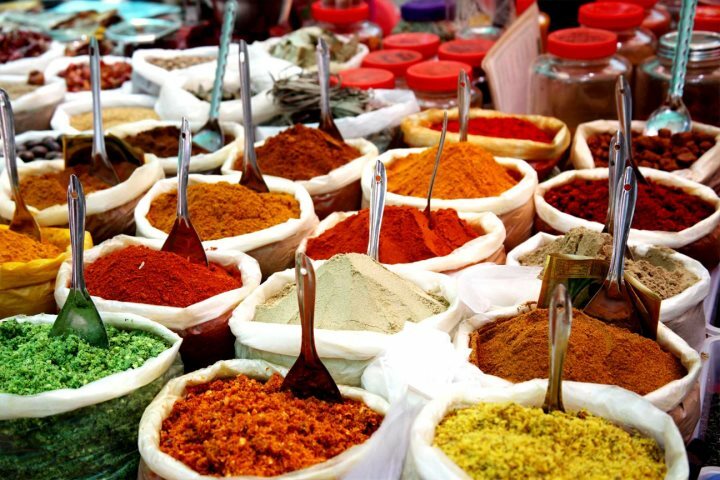 India is well known for its spices which are used, not just for flavouring the cuisine, but also for their health benefits. Whether to lose weight, alleviate arthritis or to add a kick to your curry, there’s a spice for almost everything! 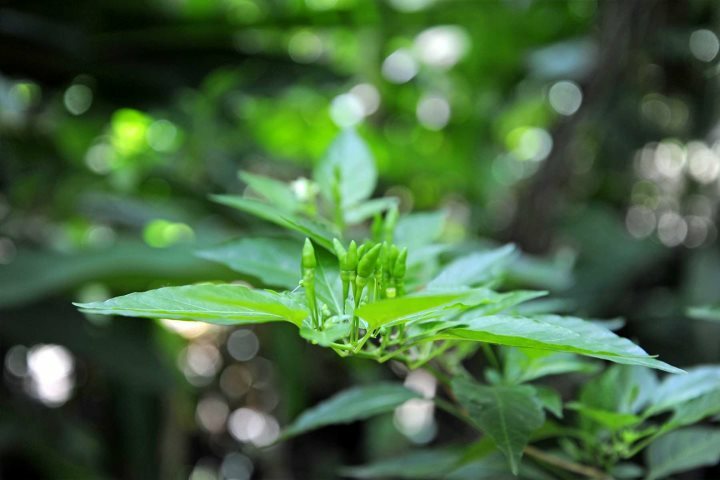 And where better to learn about spices than in a plantation surrounded by the plants that produce them? I had the chance to visit a plantation on a familiarisation trip with colleagues, which we all thoroughly enjoyed. 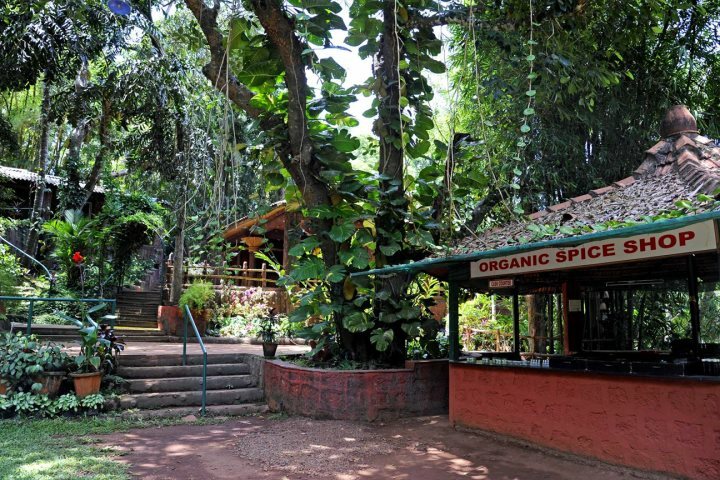 Having spent the morning visiting the Dudhsagar Falls and swimming in one of the natural pools there, we had already built up quite an appetite by the time we arrived. As we wandered around the plantation in the dappled sunshine, it was fascinating to see many familiar, and some not so familiar, spices growing – chillies, peppercorns, nutmeg and cardamom, and a myriad more. Bananas, pineapple, cashews, as well as coffee are also grown here. There is such a serene atmosphere walking amongst the plants, many reaching way above our heads, that it almost seemed a shame to break the silence, but it’s not every day you get the opportunity to see spices growing in their natural state with an expert on hand to tell you all about them. We tasted or smelled different spices in the form of berries, leaves or even bark, and while, in the main, their tastes were very familiar to us, trying to pin down exactly what they were proved impossible. I’ll never forget how wonderful all the fresh spices tasted – so much better than the pots I have in my kitchen at home. It was also fascinating to hear about the medicinal properties of these plants too, from treating a common cold to far more serious afflictions. A delicious traditional Goan lunch followed, using some of the spices we’d just tasted. 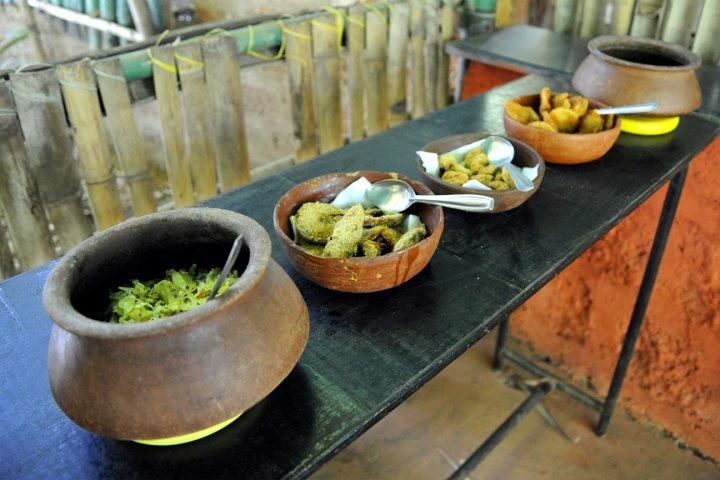 Despite having just tasted them, our untrained taste buds still found it difficult to decide which spices were in which dish. After lunch, we were shown how feni, a traditional local spirit, is made from cashew or coconuts, before having a chance to taste the cashew version, made from the cashew fruit that grows below the nut. Traditionally, cashew fruits are trodden to extract the juice, which is collected in huge earthenware pots and buried in the ground where it ferments. 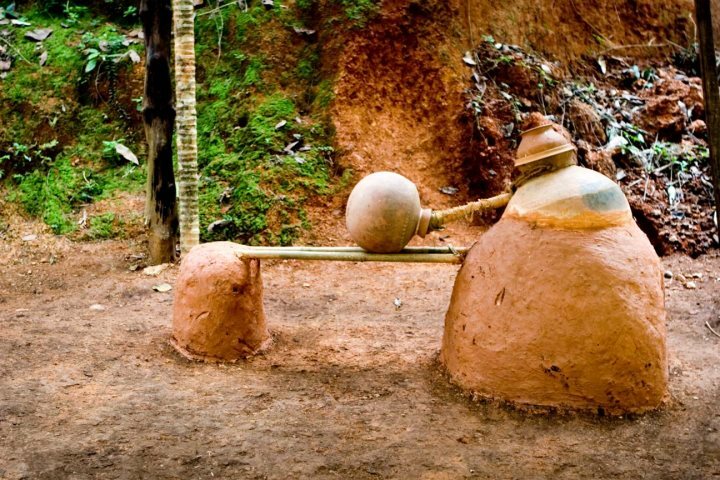 This is then double distilled to produce feni or triple distilled to produce premium feni, which has an alcoholic range of between 40 and 45%. Many Goans drink it neat, but it can also be served over ice or with a range of mixers such as soda, coke, tonic water, lime cordial or fruit juice. When we tasted the neat feni, the looks on my colleagues’ faces were priceless as they screwed up their noses in dismay. I, however, much to their amazement, rather liked it, but I was the only one in our group that did. I have heard that it is an acquired taste which I seemed to have instantly acquired! 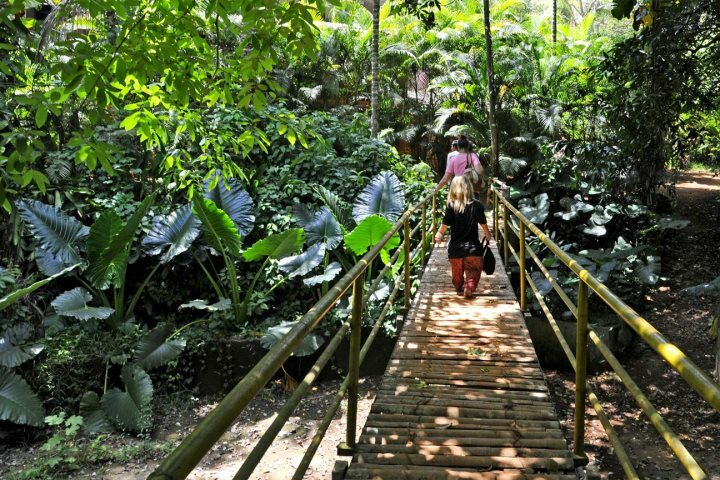 A visit to a spice plantation is included on our Waterfalls and Spices Excursion and costs from £55 per person. For the details of all our excursions, both day trips and multi-day tours, please visit the ‘Excursion and Tours’ section of our website.